Dancing is great fun and can be achieved by anyone, regardless of age and ability. As well as the sheer enjoyment and pleasure it brings, it can help you to keep fit! Whether you are a beginner to the dance floor, have mastered the basic steps, need more complex steps, wish to improve your technique or need to learn to dance in a short time for a special occasion, at Ann Gibbons Dance there is a class for you. Sequence Dancing with some Ballroom and Latin. Colin is a popular DJ with a good following. 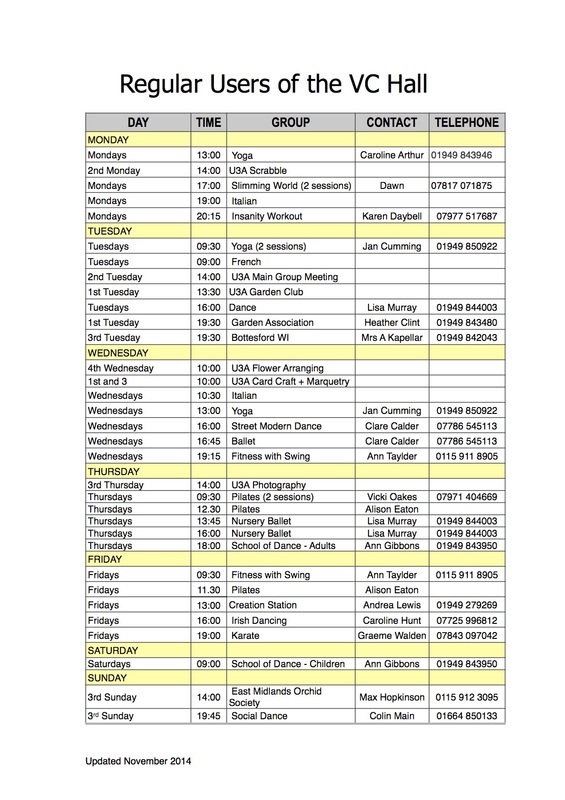 Loads of the old sequence favourites, will cover many Ballroom and Latin depending on who attends. Usually throws in a few line dances as well. Friendly and welcoming, highly recommended. The WI is now the largest voluntary women’s organisation in the UK. The WI will celebrate its centenary in 2015 and currently has over 210,000 members in around 6,600 WIs. Formed in 1976, the East Midlands Orchid Society was originally a branch of the Orchid Society of Great Britain (OSGB). Two years later, the Society became fully independent and a member of the British Orchid Council (BOC). The Society became affiliated to the Royal Horticultural Society (RHS) in January 1996. Warm-ups/stretches/activities/stamina/cool downs/final stretches/pilates type floors! All ages, all abilities - beginners or more experienced. Bring a mat, towel and drink! Contact Ann Taylder 0115 9118905 for more details. Success isn’t achieved by setting impossible standards or through humiliation it’s achieved through caring, compassion and respect for you. You decide what size you want to be and we’ll help you get there, where you want to be. At Slimming World we work together to help you look and feel great – body, mind and soul.